One of the fortuitous design choices made by the Apollo/Saturn engineers was that the rocket ought to depend, in the first instance, on its own autonomous guidance system rather than being controlled by the spacecraft's guidance system. All the equipment required to steer the vehicle was installed within the instrument unit, a 6.6-metre annular ring positioned atop the S-IVB that extended the height of the vehicle by 1 metre. Both the Saturn IB and Saturn V had an instrument unit that carried all its equipment mounted around the inside. This included a digital computer, a stabilised guidance platform, the sequencers, etc., that were needed to control the entire launch and the ascent to orbit. Arrangements were also made to allow the Apollo spacecraft to control the Saturn V in case of failure. The Apollo 12 flight of November 1969 vindicated the engineers' decision when lightning hit the ascending vehicle shortly after launch. 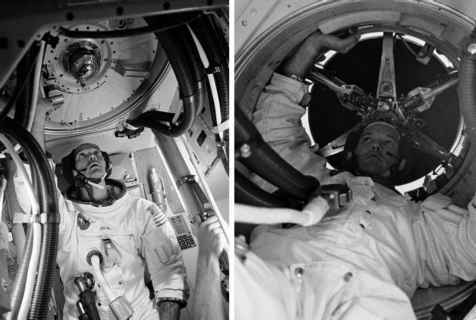 The guidance system in the command module was temporarily knocked out by the surge of current, yet the Saturn continued on its way under the control of its instrument unit, giving mission control and the crew time to recover from the disruption. Had the spacecraft's systems been in control, the vehicle would have gone awry and the mission surely aborted by firing the LES motor.